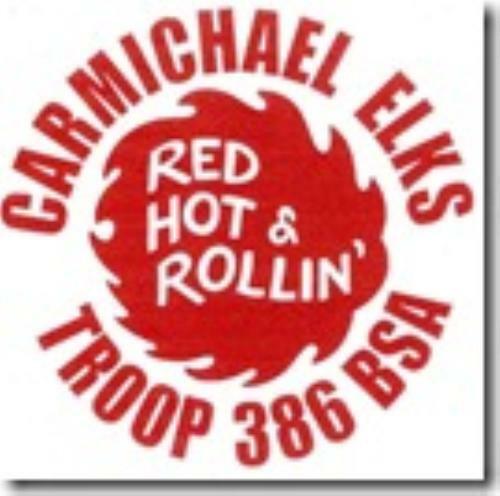 This is the website for BSA Troop 386. We were chartered on December 1st, 1965, and have been a part of the Carmichael community for 50 years. On March 1st, 2019, we chartered Troop 386 for girls. Our Chartered Organization is the Elks Lodge of Carmichael, California (Lodge #2103). We meet once a week on Tuesday nights at 7:00 PM at the Elks Lodge at 5631 Cypress Avenue in Carmichael, California. Our Troop is in the Pioneer Express District (Carmichael, Fair Oaks, Orangevale, Citrus Heights, North Highlands, Rio Linda) of the Golden Empire Council (Sacramento Area) of the Boy Scouts of America. We have a long-standing tradition of being adult guided but youth run. The "Patrol Method" has allowed our troop to achieve great success in Scout advancement and youth leadership development while still having a great time on our monthly activities and at summer camp. This section of the website is the Public Site for Troop 386. For the protection of our youth, there is more information for scouts and their parents in the Member section of the website. We go on at least one type of outing/trip every month. Examples of our trips include Yosemite, Point Reyes National Seashore, Granite Arch Rock Climbing Center, Summer Camp, 50 Mile Backpacking Trips, State Parks, Lava Beds National Monument, National Forests, District Camporees, etc. We also conduct service projects to help the community.